Newer Lennar Radcliffe built in 2017. Featuring a state-of-the-art gourmet kitchen to a magnificent spacious master suite w/ lanai-style shower & walk-in closets. Home features 4 bedrooms, 2 baths, laundry room, kitchen with granite counter tops, spacious pantry, built in oven, cook top, microwave and dishwasher, spacious eating area all with tiled floors. The backyard has been fully decorated with low maintenance landscape, extra cement, and installed gazebo with ceiling fan (see photos) and a relaxing 2018 BMW Hot Springs Envoy hot tub seats 5 with a salt water system. 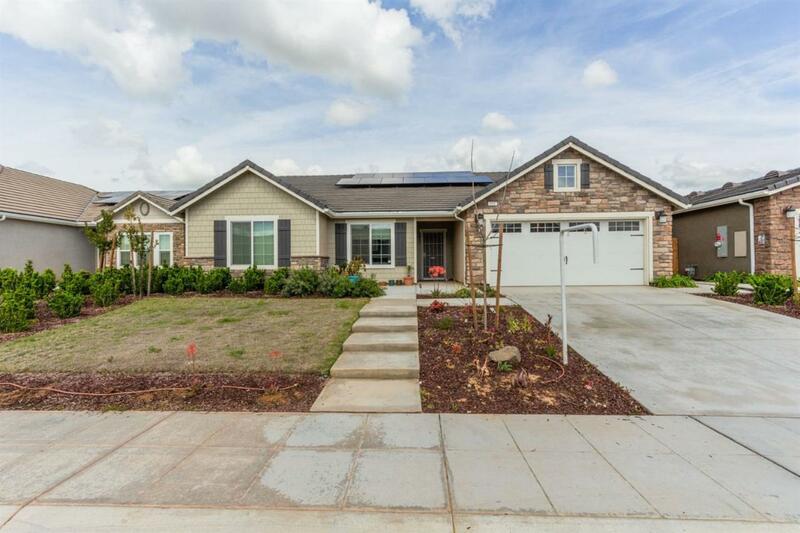 This home also offers an energy efficient Solar System. Community offers family-friendly amenities, including 200 acres of public & private parks, community clubhouses, open space reserves, extensive trail network, community pool, gym, and on-site schools. Listing provided courtesy of Estela Blanco of Guarantee Real Estate.